Bhubaneswar: Odisha Police on Wednesday tweeted a meme on the deadly MOMO challenge that has reportedly so far claimed two lives in the state. The picture shows two images. 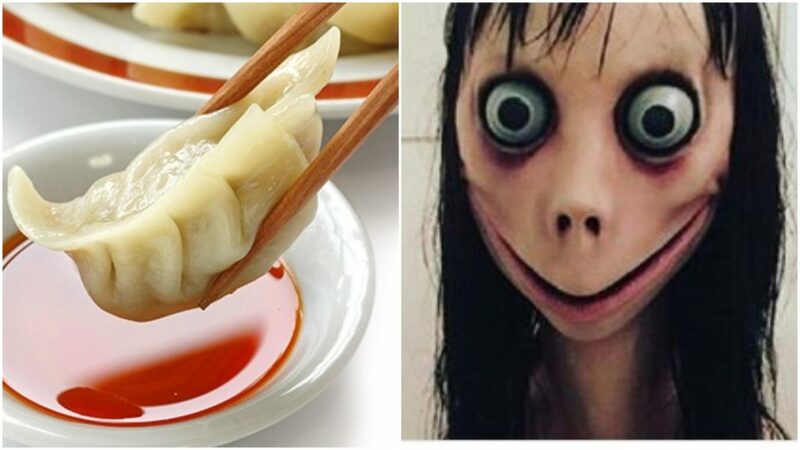 One of the momos we eat, with caption reading ‘The momo you can love and relish upon’, while the other image is of a girl’s distorted face with protruding eyes and a wide mouth. It usually appears as the profile image of the WhatsApp invitation from an unknown number. This is the momo ‘you must avoid and block’ read the caption. The perpetrators of this horrific crime monitor the status and profiles of people on social networking websites to target people with suicidal tendencies. Earlier on Wednesday, a youth identified as Umakant Behera was found hanging from the ceiling of an under-construction club house at Umara Gaon village in Mahanga area of Cuttack district and his family members found the MOMO Application downloaded on his mobile phone. They lodged a complaint at Mahanga police station alleging that their son took the extreme step after playing the MOMO Challenge game. An Engineering student had become the first victim from Odisha after he committed suicide by jumping off a hospital’s sixth floor in Chennai on August 22 following the directions of the dangerous Momo Challenge. The deceased was identified as S Chetan Kumar (20), a resident of Rourkela who was pursuing engineering at a private college in Bhubaneswar. Twin City Police Commissioner Satyajit Mohanty had informed on Monday that the Commissionerate Police has decided to launch a drive called ‘Know Your Police’ from this week to aware school students about the dangers of playing the MOMO Challenge. Earlier this month, Odisha Crime Branch had also issued a list of advisory for the parents, teachers as well as media asking them to be aware of this threat and save the children from the same by taking certain precautionary measures. MOMO Challenge is being circulated by some mischievous and criminal-minded people on social media. It instigates people, especially children to commit suicide as the final task. As some innocent people around the world have fallen prey to this malicious game, there is a need for the parents and teachers to be aware of this threat and save the children from it, the advisory stated.